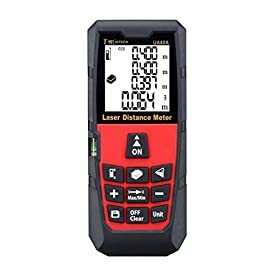 Amazon.com Price: $49.99 $49.95 (as of 25/04/2019 16:56 PST- Details)	& FREE Shipping. 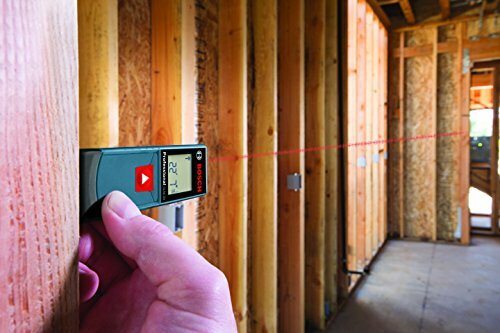 Selected as one of the Best Laser Measures for Architects in our review, the Bosch GLM 20 laser measure is the go-to for new users of laser measures. What makes it so? It is extremely affordable, reliable and easy to use. 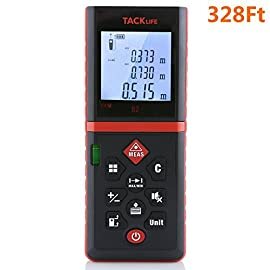 You can measure in seconds what would take minutes (and two people) with a tape measure. 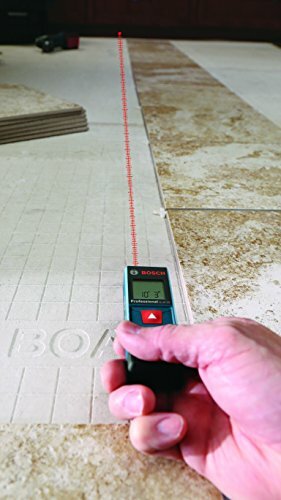 With an accuracy of 1/8 inch (3 mm), you are within building tolerances when measuring rooms. Its 65 feet (20 m) range makes the Bosch GLM 20 the perfect companion for Architects working on housing renovations or other small projects. The backlit display will come in handy in areas with low or no light. 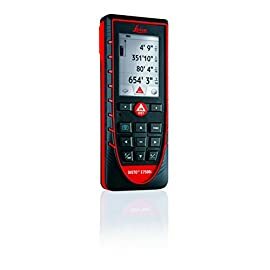 With a one-button operation, you need to press it once to get the real-time measurement and a second time to carry that measurement, as simple as that. It is so small that if you have any complaint, it would be that you keep losing it. It is smaller than a smartphone, so it can easily fit in your pocket. For more information, please read our extended review. One of the most prevailing comments about this model is how easy it is to use. 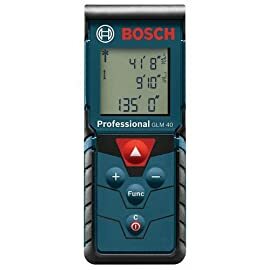 With its one-button operation, there is hardly any learning curve with the Bosch GLM 20. This is a big advantage compared to other more complex models, which require a fair amount of knowledge to make the most of them. A very small product that would fit nicely in your pocket. Dimensions are 4 x 1.4 x 0.9 inches (10,2 x 3,6 x 2,3 cm). 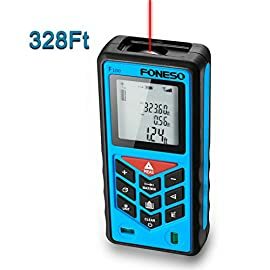 Smaller than a smartphone. Even smaller than a Nokia 3310. You will find a lot of low-quality products claiming a certain accuracy but not being able to deliver it consistently. 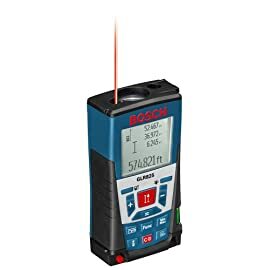 With the Bosch GLM 20, however, the accuracy will be what it says. This is another of the most shared praises on the Amazon reviews. 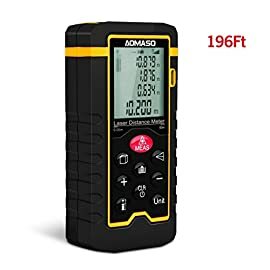 A very useful feature that makes reading much easier, especially in conditions of low or no light. Great add-on that is not offered even in some more expensive products. 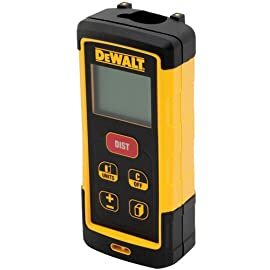 The only downside to it is that it turns on and off automatically, so you do not have any control if, for example, you want to keep it on continuously. Don’t visit the construction site very often. Work only on small projects. 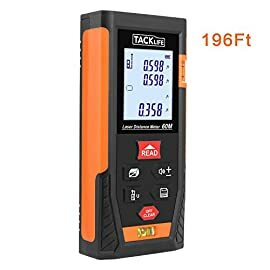 Haven’t used a laser measure before and are not sure if it is the right tool for you. 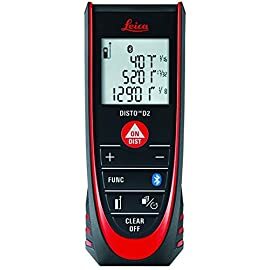 Want to use it for interiors only. In small projects due to its low range (20 meters). As a toy for your cat or dog (just joking).